Laund Oak is located on the Bolton Abbey Estate in Wharfedale. 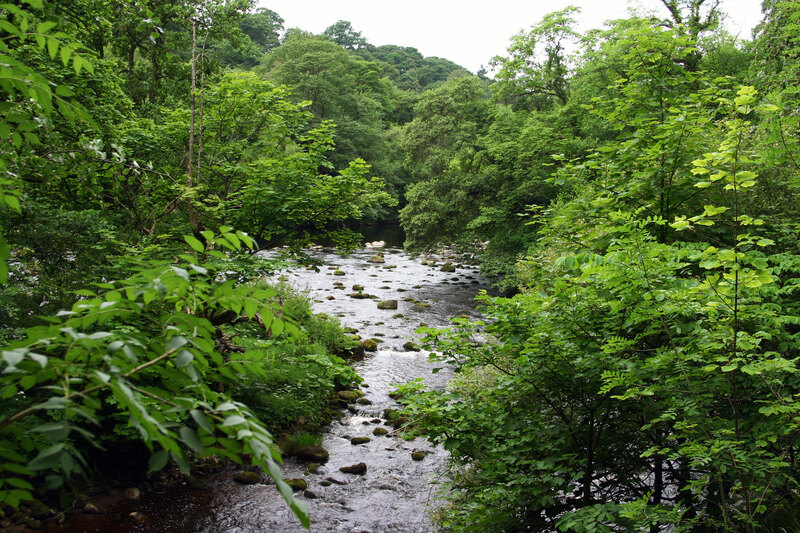 4.5 hectares of new woodland were planted to extend and link to Strid Wood, an ancient woodland site and a Site of Special Scientific Interest (SSSI). Laund Oak is located on the Bolton Abbey Estate in Wharfedale. 4.5 hectares of new woodland were planted to extend and link to Strid Wood, an ancient woodland site and a Site of Special Scientific Interest (SSSI), and Posforth Gill, an ancient replanted woodland site. There are large, open grown oak trees throughout the site, most of which are mature or veteran trees. The oldest, Laund Oak, is reputed to be over 700 years old. All of these trees (including ancient holly trees) are very important features in the landscape, as well as a nationally declining key habitat for numerous species of fauna, lichen, flora and insects. Woodland ground flora such as bluebells and primroses can be found under the bracken. The wood has been planted with hawthorn, holly, rowan, crab apple, blackthorn and juniper. It has been rabbit fenced and made stock proof to allow natural regeneration from the existing oak trees which will then establish the woodland on part of the site. A further area has been restored as pasture. Grazing will be controlled until the pasture becomes fully established. Old and decaying trees and branches have been retained but moved into the woodland areas to introduce dead wood habitat. The woodland is situated about 1.5 miles from the Sandholme Car Park adjacent to the Cavendish Pavilion on the Bolton Abbey Estate. Cross the wooden footbridge at Cavendish Pavilion. Turn left and follow the path along the river. When the path reaches the road, cross the footbridge and continue up the road past the ancient oak tree where the road bears left. The new planting is on the right hand side of this road.